Everyone dreams of having a huge spa-like bathroom, but if you’ve been bestowed a small bathroom, you’ve hit the design jackpot. 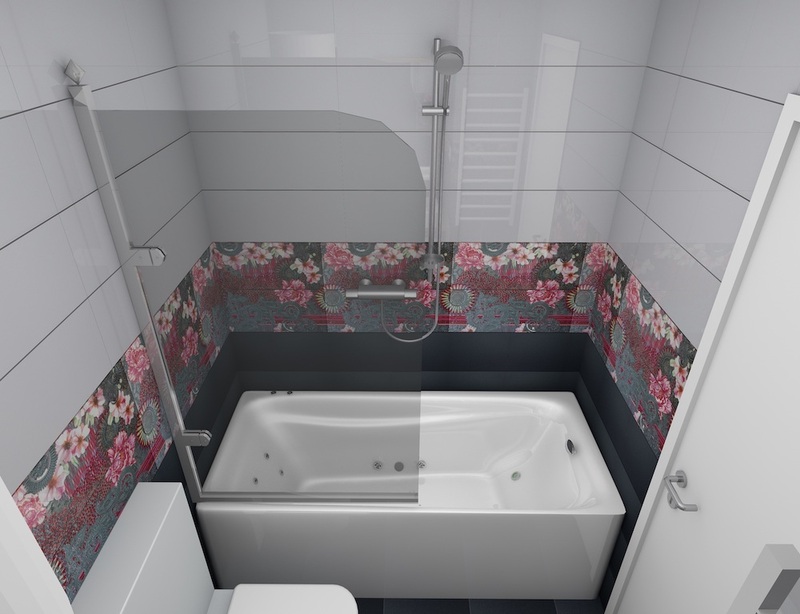 With a smaller footprint, you can really focus on the bathroom as a whole and make it your dream oasis. Tile is a versatile material than can be used different ways throughout your bathroom and can make huge design impact. Tile isn’t just for the floor or shower anymore, you can also find tiles making an appearance on walls and your sink’s backsplash. Having a smaller space to remodel means that you can splurge on a more expensive tile that would have been cost prohibitive, if you had a larger space. Here are 5 different ways to incorporate tile into your small bathroom. 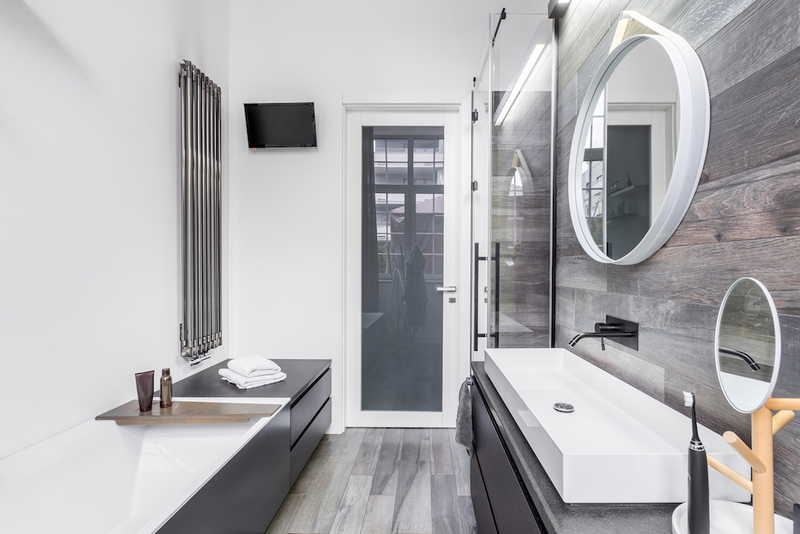 Are you ready to start your small bathroom remodeling project? Connect with a bathroom contractor and receive up to four free estimates. 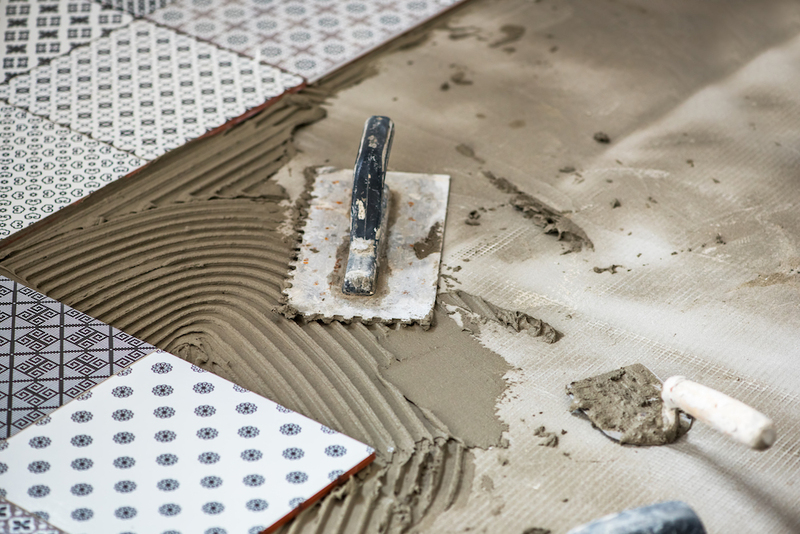 Knowing how much tile you will need to have on hand before starting this project will help keep you on your budget. Depending on what area of your bathroom you want to tile you’ll want to calculate the amount of tile you will need. Once you have your budget and know how much material you will need to complete the job, you can focus on the style of tile you’d like to incorporate into your small bathroom. It is always a good idea to factor in a few spare tiles to keep in an emergency. Specifically, in case any become damaged or cracked and you never know if the tile you’re using will be discontinued down the line. There used to be a time when you couldn’t imagine having the look of wood floors in your bathroom. Hardwood and water are sworn enemies. So how do you get the look of hardwood floors in your bathroom without risking the damage? This is where faux wood ceramic or porcelain tiles come in and will make everyone do a double take. With features like being scratch-resistant, water resistant and affordable, faux wood tiles would be a great option for your small bathroom’s flooring or an accent wall. Subway tiles are a timeless and versatile way to update your bathroom. 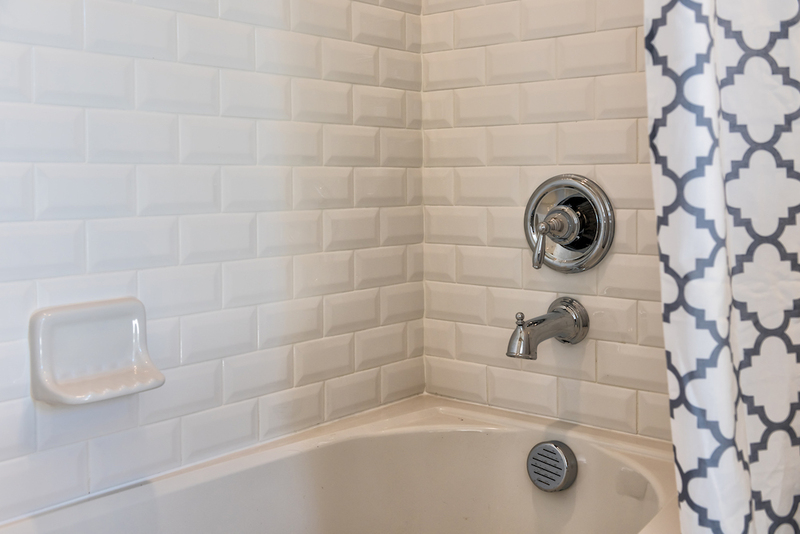 Think outside of the box and use subway tiles both in and around your shower or bathtub. For an industrial or farmhouse aesthetic, use a dark grey or black grout. If you’re more traditional and want a look that will never go out of style, and never look dirty, use very light grey or white grout! An added bonus, white grout will help make your bathroom feel bigger. Make sure you keep your white subway tiles clean. The easiest way to clean tiles is with vinegar and water! If you’re looking to make a statement, but don’t want your small bathroom to feel too crowded, a floral tile detail will help bring some life into your space. An otherwise boring bathroom is now and enjoyable place to unwind after a long day. Another way to incorporate florals into your bathroom is by designing a mosaic pattern or design. Not all tiles are not created equally. 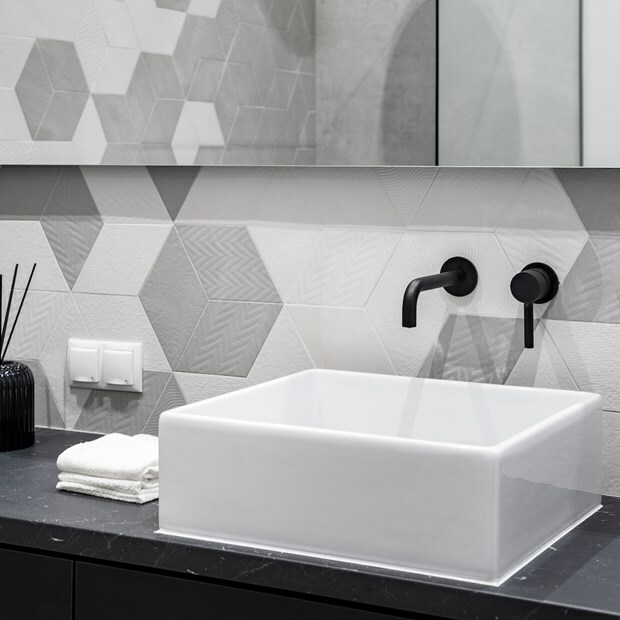 Textured tiles will give your small bathroom a unique and trendy feel. If you’re leaning toward going 3D, stick to an accent wall or a backsplash, you don’t want to give yourself or any guests vertigo when using the facilities. 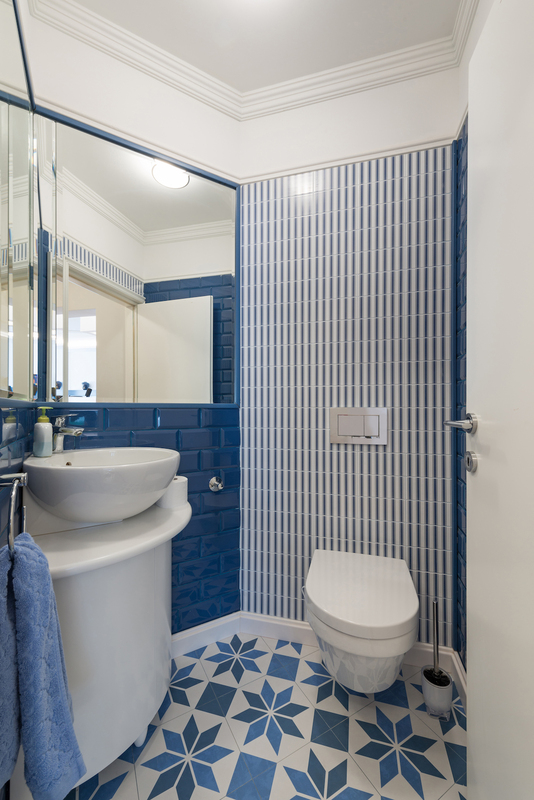 Adding tile to a small bathroom shouldn’t mean picking just one tile throughout the room. For a fun play on color, pick a bold color that you like and then find a few corresponding and complementary tiles. The key to making this work in such space is by using one accent wall with a solid colored tile, one accent wall with a plain and simple pattern, and one area, preferably the floor, with the fun loud pattern. 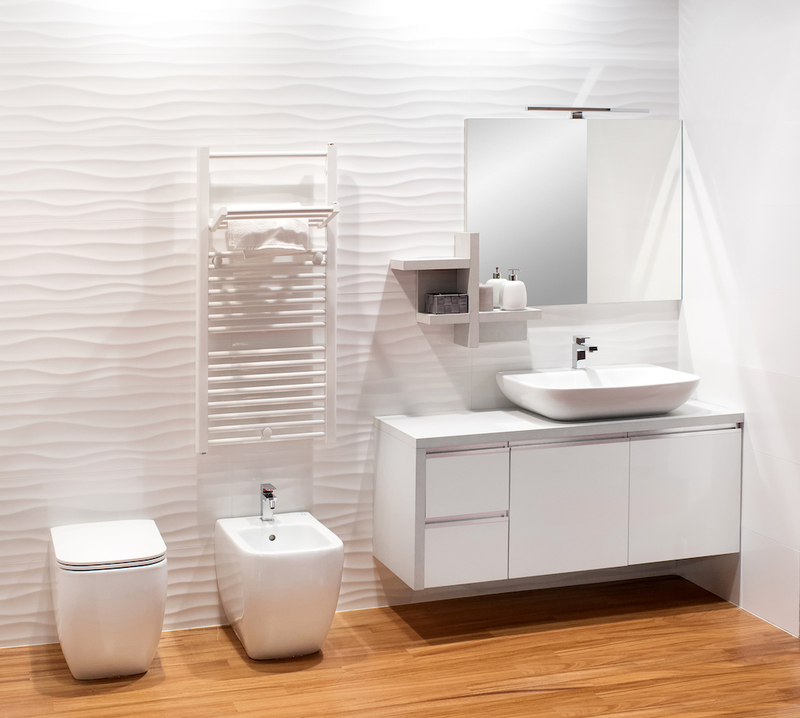 Looking for more bathroom trends, no matter the size of your room? Read 2018 Bathroom Trends for more tips. While bathroom tile is beautiful, it’s an investment. In theory you can save money by DIYing your small bathroom tile installation, however, if you don’t have the right materials, such as tile saw, you will want to hire a bathroom contractor who can provide flawless results. 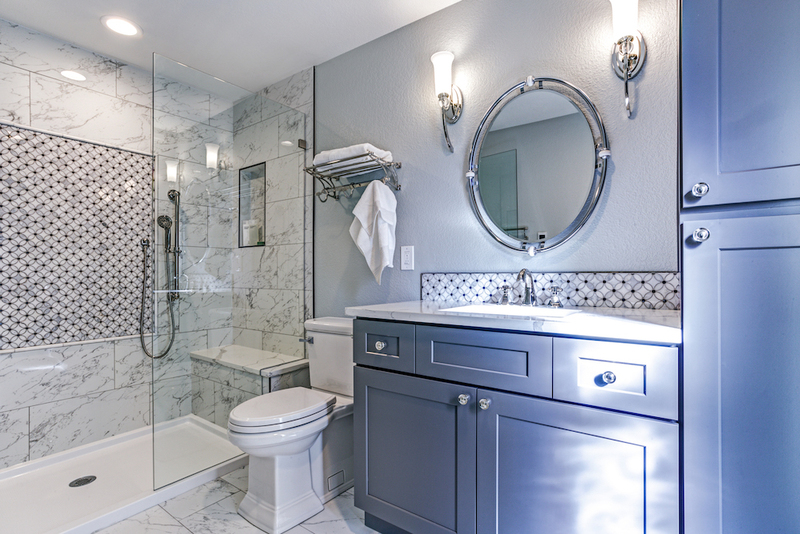 The average cost of bathroom tile materials is $5 per square foot. If you are hiring a bathroom contractor to install your tile, you’ll be spending more for labor. The average cost to install tile is $13 per square foot, with most homeowners spending between $4 to $55 per square foot. If you want your small bathroom to stand out and feel bigger, look into installing a glass shower door to really have eyes drawn to your beautiful new bathroom tile. The national average cost to install a glass shower door is $840, with most homeowners paying somewhere between $663 to $1,004 depending on your location. Having a small bathroom shouldn’t make you feel like you can’t invest in having a beautiful space to unwind after a long day. 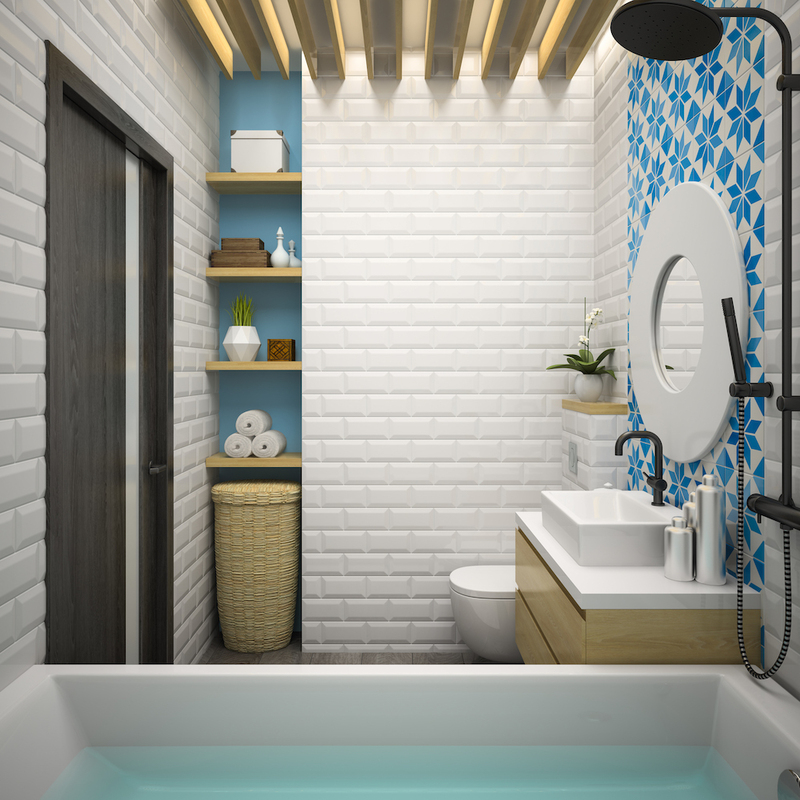 Depending on your style, you’ll find many different ways to incorporate tile into your space no matter how big or small your bathroom is. Remember, good things come in small packages!